It feels like I haven't used my blog in so long! Just a quick update I am currently on placement as part of my university degree, i'm really enjoying it but it means that blogging has to take a little bit of a side step for now.. I am super excited to be able to get back at it for Summer though and to really be able to spend a lot of time on it! For this post I teamed up with the amazing Topshop to talk all about their Dress edit. I think when you usually think of dresses you think of just your typical dress on it's own, but for this post I wanted to feature something a little different which is why I chose this set! Pinafore's are one of my favourite styles of dresses because they allow you to be able to make them look different every single time depending on what you style with them. 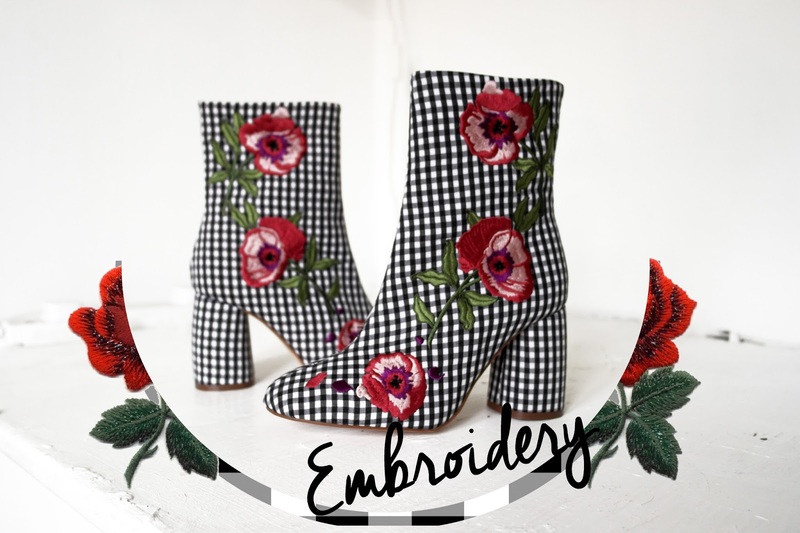 Embroidery is a trend I just cant seem to go over so I jumped at the chance to own this shirt. It looks perfect either with this pinafore or also with jeans or a cute little skirt. The relaxed fit means it's so comfy to wear also. So onto those boots.. I have wanted these for so so long! 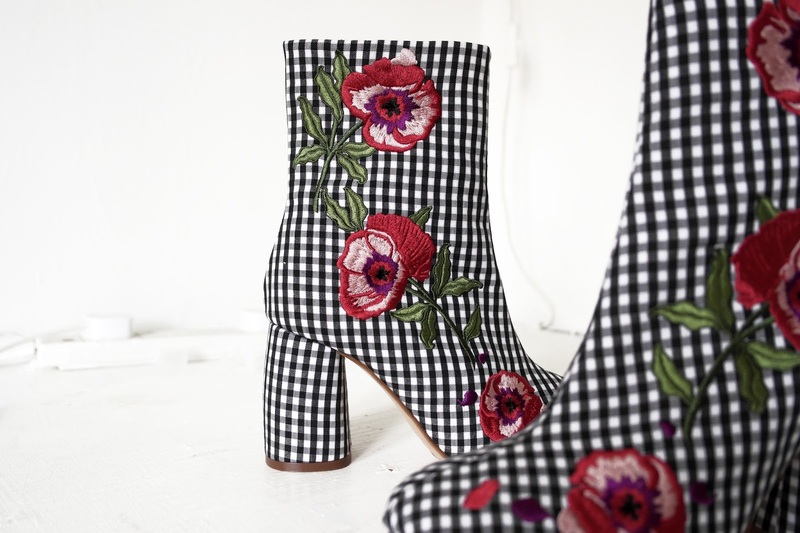 I love Gingham and Embroidery so the concept of them both mixed together into chunky heeled boots is literally like a dream for me. I couldn't resist pairing them with this pinafore because who doesn't love a bit of double gingham?! Topshop (as always) have so many different dresses at the moment which are perfect for the transition into Summer. You can head to their website to find all sorts of different ways and ideas to style up dresses by clicking here! 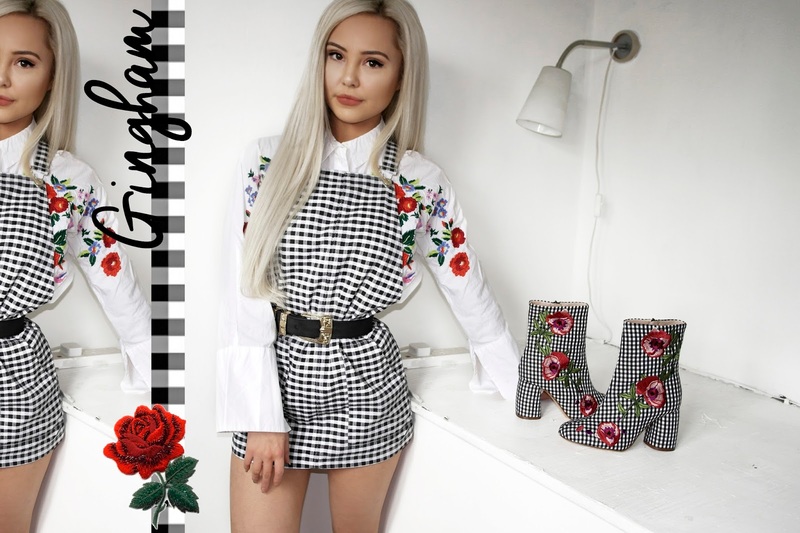 Let me know what your Topshop dress styles are your fave!